Students sing songs, do puzzles, read books, play bingo, do lottos, ask and answer questions and learn phonics as a group (of 3 - 6). 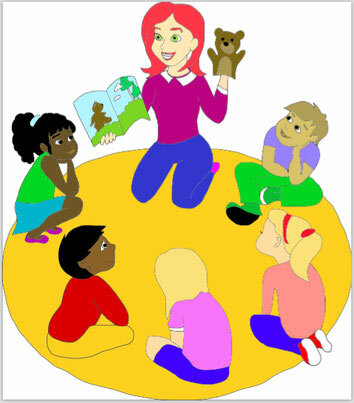 In all activities, the teacher makes sure all students speak, answer questions and sing. We want confident students who enjoy English. We encourage students to help each other. **** All kindergarten students learn phonics. But students who begin from nenchu (4 years old) will do MORE phonics work in pairs from nenjyo (5 years old). This is preparation for writing which begins with My English Book and Me 3. ***** The entire 60 minutes is speaking and listening (and “reading” phonics). There is no writing time in kindergarten lessons. Kindergarten students use My English Book and Me 1 and 2. Students should remember ALL the words in 1 unit for homework. Homework is to be done with parents. It will take a few minutes. The teacher will check if students know the words at the beginning of class. If not try again next week! Other than to check the homework, the text is NOT used in class. We have bingo, flashcards, lottos, games…. to learn the vocabulary, questions and answers IN the text in a fun way in class.